Donald Barry went from the stage to the screen. After four years of playing villains and henchmen at various studios, Barry got the role that changed his image: Red Ryder in the Republic Pictures serial Adventures of Red Ryder (1940). Although he had appeared in westerns for two years or so, this was the one that kept him there. He acquired the nickname "Red" from his association with the Red Ryder character. After the success of "Red Ryder" Barry starred in a string of westerns for Republic. Studio chief Herbert J. Yates got the idea that Barry could be Republic's version of James Cagney, as he was short and had the same scrappy, feisty nature that Cagney had. 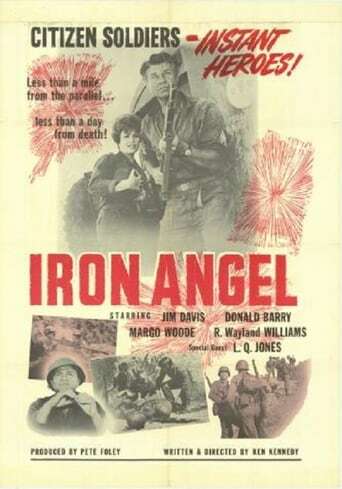 Unfortunately, while Barry could in fact be a good actor when he wanted to be -- as he showed in the World War II drama The Purple Heart (1944) -- his "feistiness", combative nature and oversized ego caused him to alienate many of the casts and crews he worked with at Republic (ace serial director William Witney detested him, calling him "the midget", and director John English worked with him once and refused to ever work with him again). Barry made a series of westerns at Republic throughout the 1940s, but by 1950 his career had pretty much come to a halt, and he was reduced to making cheaper and cheaper pictures for bottom-of-the-barrel companies like Lippert and Screen Guild. Barry continued to work and still appeared in westerns up through the 1970s, but they were often in small supporting roles, sometimes unbilled. In 1980 he committed suicide by shooting himself.